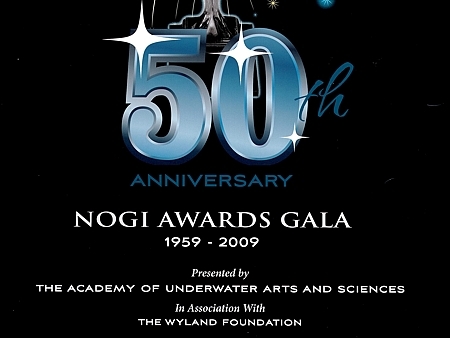 BALL Watch is major sponsor for the Annual NOGI Awards Gala again for 2009! The NOGI is the oldest and most prestigious award in the diving industry, recognizing leaders in underwater endeavors in the categories: Arts, Science, Sports and Education, Distinguished Service. The roster of NOGI recipients is a virtual "Who's Who in the Ocean World," with such legends as Capt. Jacques-Yves Cousteau, Dr. Robert Ballard, Capt. Albert Behnke, Dr. Sylvia Earle, Lloyd Bridges and Zale Parry.